If you want me to be creative with something, challenge me. Especially when it comes to food, I can turn what seems like nothing into something with so many little ingredients. 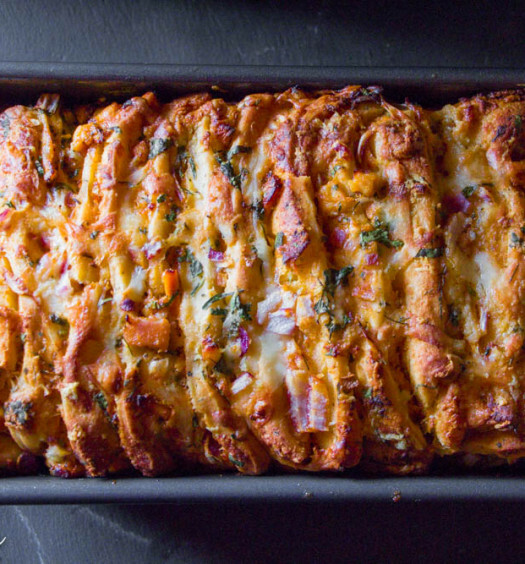 The challenge I faced with this recipe came from Gastropost called “Herb Is The Word”. My herb of choice was Dill! I had luckily received a lovely bunch of Dill in my weekly grocery bag from Fresh City Farms! Right then and there my food-brain was on a roll. I thought of all the different things i’ve had dill with, but I really wanted to make something which was creative, but also highlighted the ingredient of choice, Dill. I hunted through the pantry, fridge and freezer. I was able to find some frozen shrimp and pistachios. Threw them on the counter for a minute and just stared at them. I then started to salivate day dreaming of po’boys whilst staring at the shrimp. 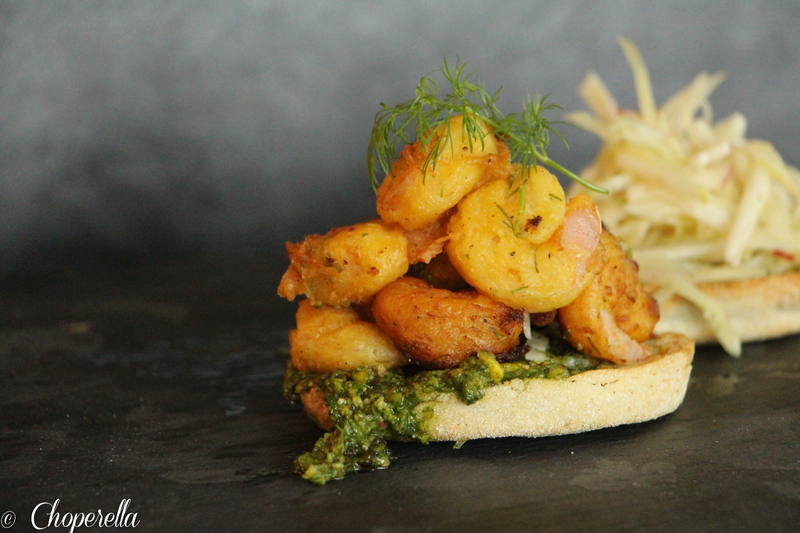 Dill’d Shrimp “Pakora” sandwich with a Pistachio-Dill Pesto? Sounded like a mouthful of yumminess to me!! One of my most favourite batters is the infamous indian Pakora Batter. I’ve grown up eating Potato Pakora, Mixed Pakora, Onion Pakora’s, Fish Pakora’s and more. It was only right for me to experiment with a classic, it’s what I do! I went at it, took me a couple tries to get the shrimp just right, but all the failed attempts were worth the final success. Try this recipe out, its fun, and different. 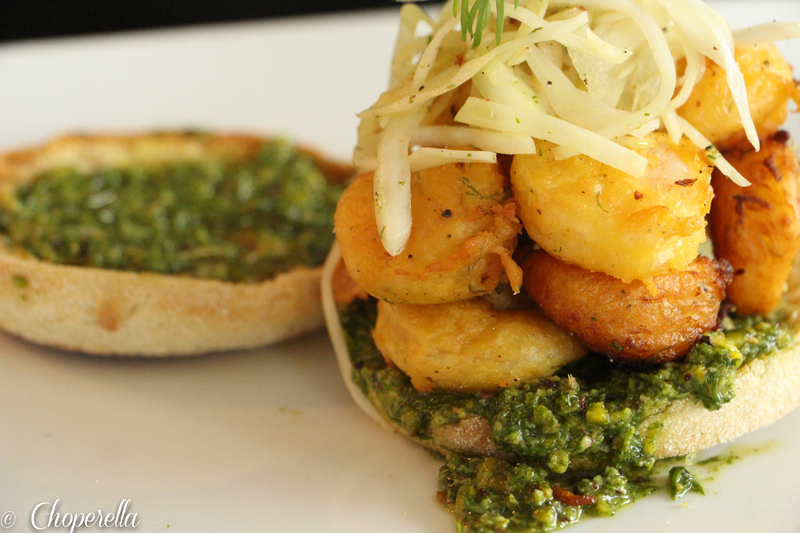 You can even serve the shrimp alone with the pesto rather than in sandwich form like below. 1. Make the pesto first. In a blender (I used my Magic Bullet), add all of the pesto ingredients and blend well to your desired texture. I prefer mine to be a little bit chunkier for texture. Taste it, you may want more salt or more lemon juice. Keep in a bowl in the fridge. 2. Pour enough oil into heavy large pot to reach depth of 2 inches; heat to 350 degrees F.
3. In a medium sized bowl, prepare the “pakora” batter. Mix in the garbanzo bean flour, chili powder, salt, coriander powder and fresh chopped dill. Then add in the soda water and gently whisk this together to ensure no lumps. 4. 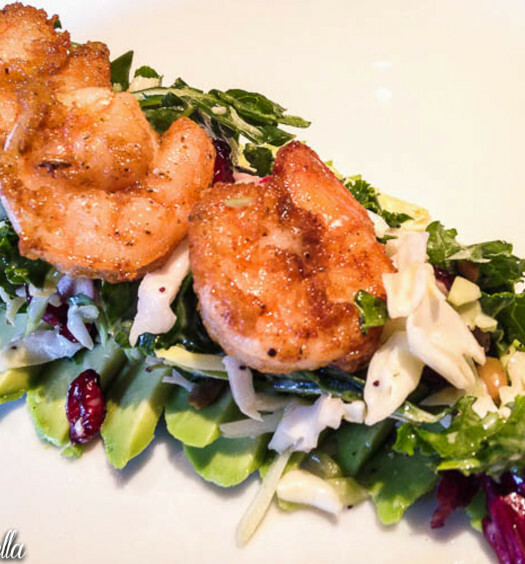 Make sure that the shrimp is fully defrosted and dry on paper towels. This will ensure the batter to stick better. In a small bowl place some extra garbanzo bean flour. 5. 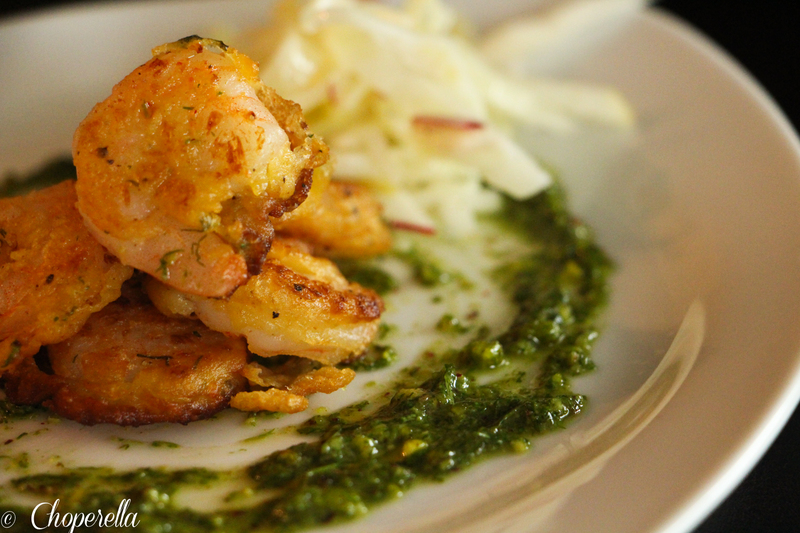 Working in batches, toss shrimp in extra flour, shake off any excess. Dip the shrimp into the pakora batter and fully coat it. Then gently and carefully sway the shrimp back and forth in the oil then let go. Fry until cooked through, about 1 minute. Using tongs transfer shrimp to paper towels to drain. 7. To prepare the sandwich, lightly toast the english muffin. Spread pesto on both halves of the muffin. Nicely pile up the shrimp about 5-6 per sandwich, top with the slaw and other half of the muffin. Enjoy! !